Excellent news for PFSA certified football scouts. The PFSA has teamed up with several clubs in the Football and Non-League, to give new and experienced football scouts the opportunity to work with first team management and develop player, team and match reports. REAL Clubs, REAL Experience! 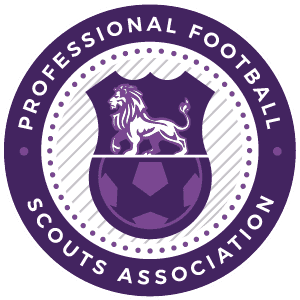 Please note due to the popularity of the PFSA Scouting Network certified scouts are advised to register 2 weeks prior to taking on an assignment with the PFSA. The PFSA Scouting Network currently conduct 2 types of assignments, opposition reports and general scouting. We have currently generated over 100 opposition reports for the clubs we work with. All of which goes directly to first-team management in their preparation for upcoming fixtures. You will help create tactical reports on designated fixtures with help from the team at the PFSA. We also conduct general scouting assignments which can range from the willingness to bolster a squad to monitoring players on loan. Scouting assignments do vary as you work with management at the club. The PFSA Scouting Network work with several high-profile clubs who have requested football scouts and analysts directly from the Scouting Network. 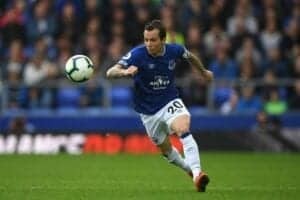 The experience gainied on the network is second-to-none and gives football scouts and analysts the vital experience needed in order to apply or be considered for a suitable role within a football club. PFSA Level 3 Advanced Reporting Incentive! The PFSA are committed to continuous development of our football scouts. So as part of the PFSA Scouting Network we are offering all football scouts who have taken part in this scheme the opportunity to gain FREE ACCESS to the PFSA Level 3 Advanced Reporting course! The PFSA Level 3 Advanced reportingcourse is taken over one day in Accrington. The Level 3is reserved for experienced football scouts and talent identification professionals and delves deep into player, team and match analysis. Once a football scout on the scheme has completed 10 fixtures, we will give free access onto the next available Level 3 course. The PFSA Scouting Network covers over 20 fixtures every week including both mid-week and weekends, so technically 10 fixtures can be covered in 2 months! Please note this service is for UK Football Scouts only, who are PFSA Level 2 or equivalent certified.